EmbedPlus is a service that promises to enhance the way that YouTube videos display when they are embedded on a page. For users who intend to embed videos in WordPress, there is a WordPress-specific plugin that can be installed onto the blog's dashboard. For all other uses, the application on the EmbedPlus website itself walks users through the process of customizing the embedded content. Since our eLearning Team blog is hosted by Blogspot, I used the web application of EmbedPlus. First, it asked me to enter in the video's URL. Then, I had to check whether I intended to post the code on a WordPress blog (if "yes", the page gives instructions for installing the WordPress plugin). 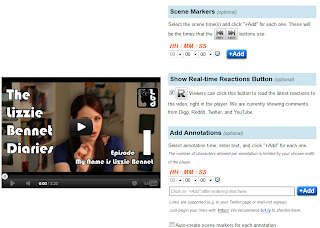 Of any of these functions, the scene markers and annotations might be the most useful to embedded video lectures in online courses. 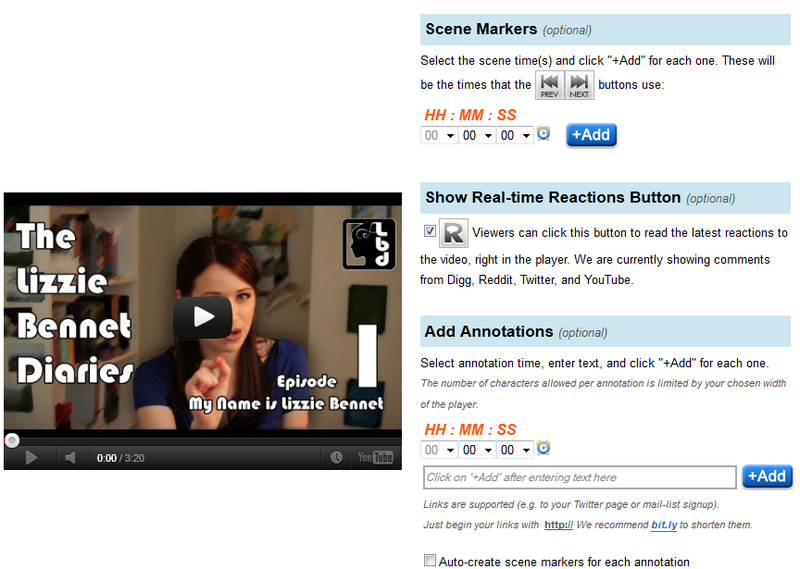 I doubt the usefulness of the real-time reactions option, but left it checked in the above video for curiosity's sake. At this time I still have not tested the WordPress plugin version of this service, and depending on how the video displays on this blog, it may or may not be worth further investigation for use in eLearning. Still, the customizable display options seem to be potentially useful. I'm looking forward to testing its functionality with real lecture recordings. the location offers to implement e-learning and serves as a liaison between all parties involved. e-learningkonsulent has all the abilities required so as to confirm successful implementation of your e-learning projects.